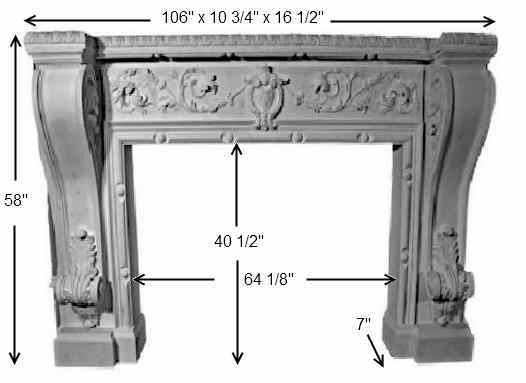 Click the button below to add the Acanthus Mantel with Decorative Acanthus Mantel Legs MT1009 to your wish list. A paintable gypsum stone fireplace mantel - in a distinctive elaborate design with scrolling acanthus leaves, vines and, egg and dart molding for the perfect centerpiece for any room, shown with (and includes) #B55 corbel bracket. You may substitute the B36 Corbel Brackets - call for details.